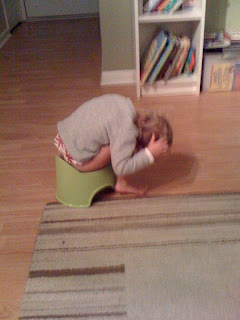 Si has been SO GOOD with the potty thing. She goes in the big potty, she wears cute underwear and she even tells us when she has to go...oh wait, she used to do all that. Now it's in the pants and on the floor. Here's her punishment. Sitting until she produces! Poor Sierra...give the girl a break daddy!